Favorite food: Cashew nuts. When I was younger, I used to dislike them unless they were roasted and salty. Now I’m eating them raw and I find them delicious that way. Cashew nuts have numerious health benefits: rich in essential minerals (manganese, cooper, iron, zinc, magnesium, selenium), vitamins (B5,B6,b1), mono-unsaturated fatty acids (aka good fats) helping increasing good HDL cholesterol in the blood. Favorite lip product: Elde Skincare’s vegan lipgloss pot in shade “Mimosa” (as seen on my Instagram here) Stay tuned for a more detailed post about Elde Skincare. Mimosa is a sheer coral with a hint of shimmer. It doesn’t feel sticky on the lips at all, which is normally something I tend to experience with lipglosses. Currently reading (or finishing in that case) : Eating Animals by Jonathan Safran Foer. I actually picked this up again; I had started reading it last year, but quickly forgot about it, because I was quite busy reading other things in between. It’s not a groundbreaking book, however I enjoy the author’s half-journalistic/half-personal story-telling approach, and if you’re completely new to issues linked to factory farming and the notions of animal welfare, it’s is a great introductory book. Article/post: Courtesy of Content’s blog, I really enjoyed reading this post about yoga against eye strain. All this screen-staring and computer work can take a toll on the health and condition of our eyes. I really have to remind myself to take a break every 20 minutes from working on my computer, otherwise I end up having tired and burning eyes. I remembered a few exercices from Yoga classes, back when I was attending these, but the article refreshed my memory and now I do my best to do these exercices more regularly. Brand on my radar: Klurskin. Thank you Instagram for being Ali baba’s cave for niche brands, I’ve been following Klurskin’s account and I’m swooning over their minimalistic look and clever ingredient combinations. 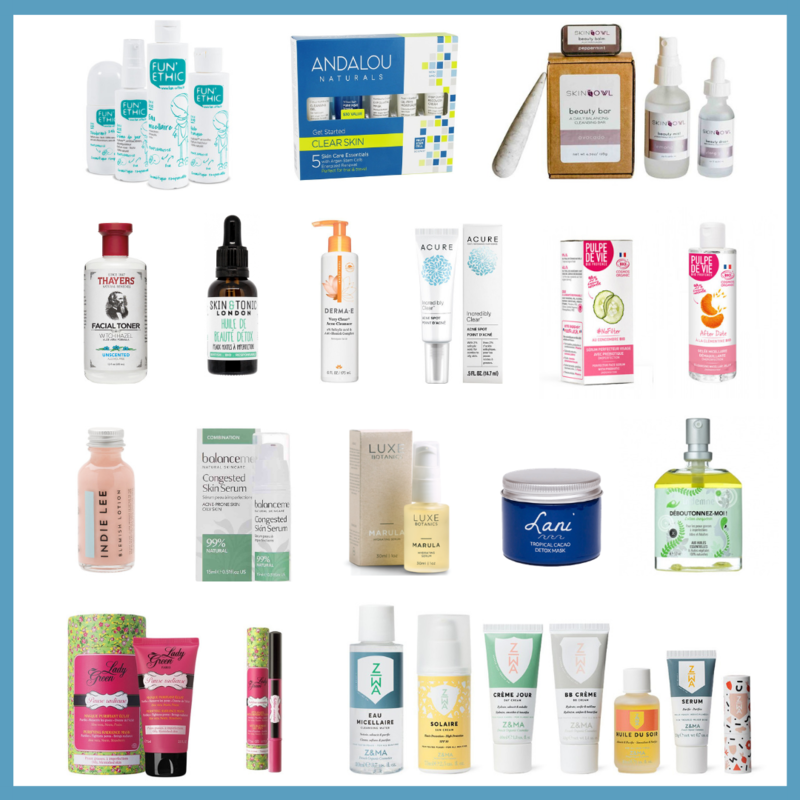 Made in Los Angeles, Klurskin’s line is free from sulfates, parabens, synthetic dyes and cruelty free. I’ve noticed that they’re now available on the US Urban Outfitter website. I’m eyeing the Rose & White Tea Gentle Glycolic Cleanser, the Tea Tree + Eucalyptus Organic Botanical Serum and the rosemary + Willow Oil Control Serum. Favorite beauty product: Alima Pure Sandstone Highlighter (swatches here). I ordered it on Corponatura, and it’s the perfect natural-looking highlighter. It’s not glittery, and it imparts a delicate sun-kissed glow. I seem to solely fall for Alima Pure’s limited releases, because I also own the Radiant finishing powder which was part of the Gaia collection (reviewed here). Movie/Documentary: Twin Peaks – I’m late to the party, I know, but I was a toddler when the series first came out. Despite its “cult” status, I had my reservations prior to watching it because I feared it would be one of those tv shows or movies that becom’s outdated, but I was completely wrong. Twin Peaks has stood the test of time, and could still give some of today’s crime series a run for their money. For those unfamiliar with Twin Peaks, it’s a mystery tv show created by David Lynch & Mark Frost. Taking place in the fictional town of Twin Peaks, FBI agent Dale Cooper arrives to investigate the murder of high-school student Laura Palmer. Agent Cooper slowly comes to the realization that this seemingly drama-free and enchanting town isn’t exactly what it seems. Now without bibing away any spoliers, the show includes some fantasy elements. As soon as I watched the pilot, I was hooked and started binge-watching – one of the reasons why I was offline the past weekend haha. Also, totally girl-crushing on Mädchen Amick and Sherilyn Fenn who both play in the show. 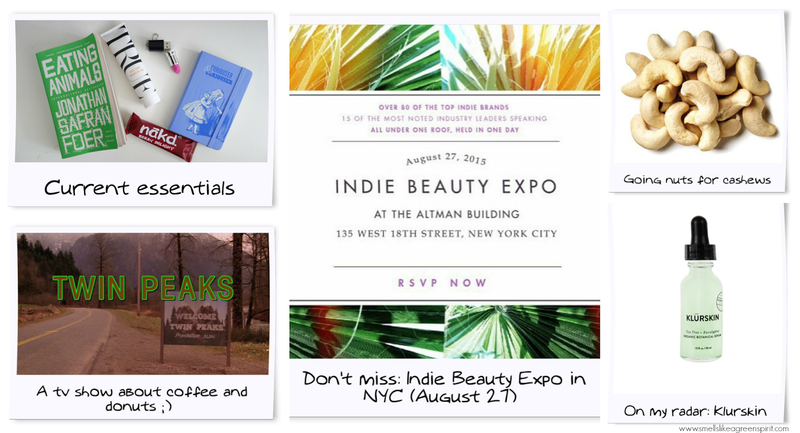 – Random bits: For those in NYC, the Indie beauty expo is coming very soon! Aug. 27, which is two days before my birthday and while a trip to NYC would have made the perfect present, it was unfortunately not possible for me to travel this summer. However, if any of you are in the Big Apple, it’s going to be an amazing event featuring the best of green and indie beauty. – This past month, I’ve been the worst at working out – walking doesn’t really count 😉 – and surprise: since stopping physical activities, my chin started breaking out again. I’d love to know how you get the motivation to workout at home. – Ursa Major which is a wonderful brand, which I had reviewed (here) and they are currently working on a natural deodorant. If you’re interested, you can help support their Kickstarter campaign (here) and be among the firsts to try out the finished product. – Last but not least: do you remember my first Liz loves (here) where I was eyeing Artifact Skin Co, well Julie now stocks it in her shop The Green Jungle Beauty Shop (here)!! 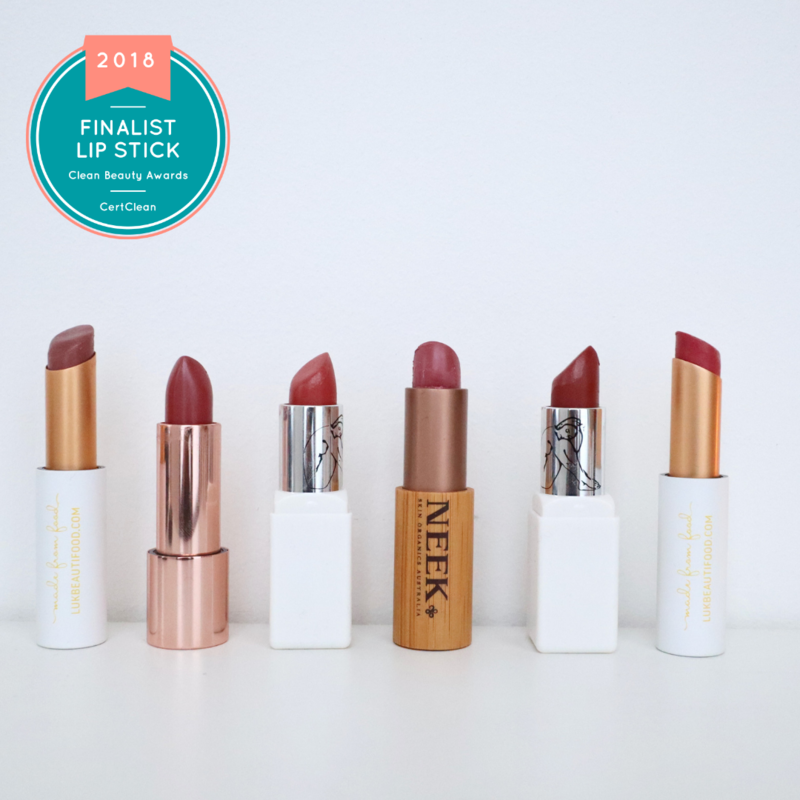 If you’re tempted to give this Canadian brand a try too, don’t forget that you have 10% off with the code SLGS10. We watched Twin Peaks like three years ago, and I loved slash hated it. The story discovers slow, you have to slow down yourself and your expectations. Once I realized that I was no longer irritated but loved it.